Julianna Papez, D.O. completed her undergraduate degree at Carroll College and earned her medical degree from Western University of Health Sciences in Pomona, CA. She completed her residency in Obstetrics and Gynecology at St. Joseph Mercy Oakland, Michigan State University in Pontiac, MI. 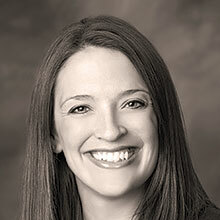 Dr. Papez joined Billings OB-GYN Associates in December of 2013. Dr. Papez was born and raised in Billings. She and her husband JW have three children, Cooper, Gabrielle, and Rowan. Dr. Papez enjoys spending time with her family, cooking, running, traveling and outdoor activities.